SLPEMG is located in the near centre of England, with Nottingham 13 miles to the north-east, Leicester 20 miles to the south and Derby 14 miles to the north-west, meaning a potential workforce of one million people is within a 30-minute drive. As well as providing critical infrastructure for the logistics supply chain the development will create 7,250 jobs, 900 construction jobs and 3,000 indirect jobs. The 22.5 acre rail terminal will be capable of handling up to sixteen 775m-long freight trains daily and will provide storage capacity for over 5,000 TEU (the measurement of capacity of container terminals) – which is equal to approximately 55,000 pallets of cargo*. 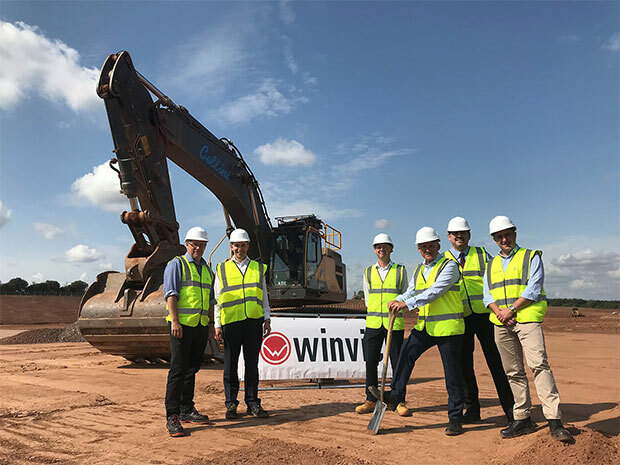 Development of SEGRO Logistics Park East Midlands Gateway (SLPEMG) continues to gather pace as power is installed at the 700 acre site and construction of a new 195,500 sq ft facility for global transport and logistics company Kuehne + Nagel begins. This week marked the connection of 28 MVA power to the site which will support up to 6 million sq ft high specification logistics space and enable occupiers to begin installing technology as part of their internal fit-outs. In addition, senior executives from Kuehne + Nagel recently joined SEGRO on-site to mark groundbreaking at their 17 acre development, which will serve as the UK location for its Overland operations. The new facility is expected to complete in April 2019 and will support up to 320 jobs. SEGRO continues to advance a number of infrastructure works at SEGRO Logistics Park East Midlands Gateway, including improvements to the M1 at Junction 24 and 24A, a bypass linking the site to Kegworth, which includes a 1200 tonnes bridge over the M1, and the delivery of a 50 acre rail freight link. “We have considerable momentum at East Midlands Gateway, where we are creating a state of the art, multi-modal logistics hub. “Our strategy at SLPEMG is to deliver the off-site and on-site infrastructure in parallel, whilst also delivering the units for occupiers meaning the new facilities can be operational more quickly. 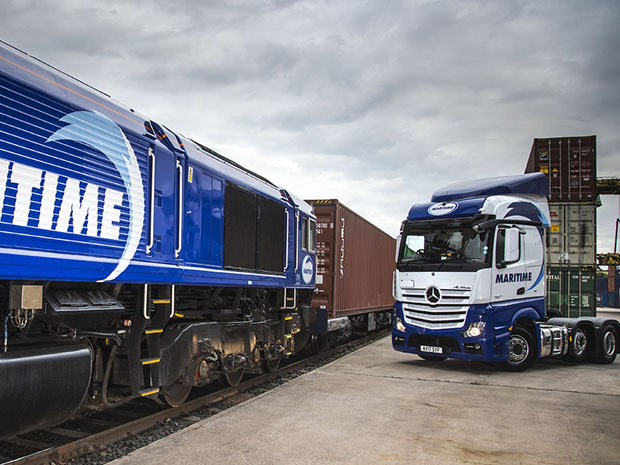 “The connection of power is a significant milestone as it allows Kuehne + Nagel, and other companies that have committed to the site, to begin their high-tech internal fit-outs. SEGRO Logistics Park East Midlands Gateway is located in the near centre of England, with Nottingham 13 miles to the north-east, Leicester 20 miles to the south and Derby 14 miles to the north west which brings the benefit of a three city labour supply with one million people within a 30 minute drive. SEGRO plc (‘SEGRO’) has secured a major pre-let with one of the world’s leading transport and logistics companies at its flagship big box logistics development scheme in the UK Midlands. Kuehne + Nagel, already a group-wide customer with SEGRO, has agreed a 15-year lease on a 195,547 sq ft unit on a 17-acre site at SEGRO Logistics Park East Midlands Gateway. The Swiss-based company, which operates in over 100 countries worldwide, will establish a central UK location for its Overland operations at the 700-acre ‘inland port’ which combines links to the M1 and East Midlands Airport. “SEGRO Logistics Park East Midlands Gateway is a game-changing multi-modal scheme which will offer companies unparalleled road, rail and air connectivity. “Securing major international customers, who are committed to establishing such significant operations on site represents an enormous vote of confidence for the scheme, the East Midlands region, and the UK. “We are delighted to have secured a site at SEGRO Logistics Park East Midlands Gateway which is ideally located for our expanding Overland operations. The new facility will enable us to continue to develop our market leading European groupage product and will be designed to include a 40,000 sq ft temperature controlled area to accelerate our ambitious growth plans within the Pharmaceutical sector”. Since its launch to the market in October 2017, SEGRO has contracted over 2.5 million sq ft of space. In addition to the signing of Kuehne & Nagel, a leading transport and logistics operator has signed a 16 year lease for 638,000 sq ft facility and an online retailer has signed a 1.3 million sq ft pre-let. Additionally, Shop Direct, the digital retailer whose retail brands include Littlewoods and Very, has committed to establishing operations at a new 550,000 sq ft facility. As part of the scheme, SEGRO is delivering extensive road improvements which will increase capacity at Junction 24, Junction 24A and will deliver a new bypass for the nearby village of Kegworth. The scheme will also include a major new 50 acre rail freight terminal and a public bus terminal has recently opened at the new entrance to the site. Highways England are also undertaking work to the current M1 to create a ‘smart motorway’ which is planned to further improve the connectivity to the site. As well as providing critical infrastructure for the logistics supply chain, the development of SEGRO Logistics Park East Midlands Gateway will create 7,250 jobs, 900 construction jobs and 3,000 indirect jobs. East Midlands Gateway is located in the near centre of England, with Nottingham 13 miles to the north-east, Leicester 20 miles to the south and Derby 14 miles to the north west which brings the benefit of a three city labour supply with one million people within a 30 minute drive. SEGRO is a UK Real Estate Investment Trust (REIT), and a leading owner, manager and developer of modern warehouses and light industrial property. It owns or manages 6.7 million square metres of space (72 million square feet) valued at over £9 billion serving customers from a wide range of industry sectors. Its properties are located in and around major cities and at key transportation hubs in the UK and in nine other European countries..